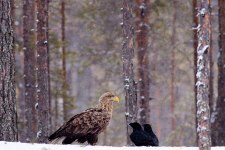 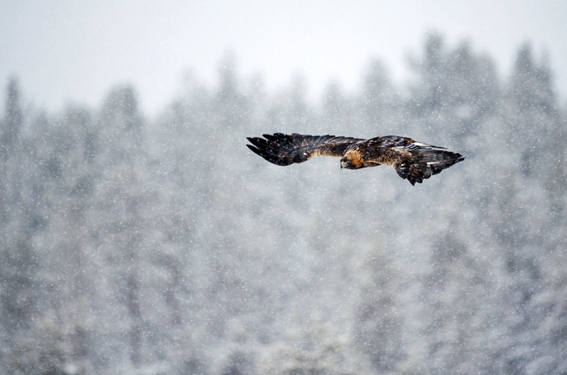 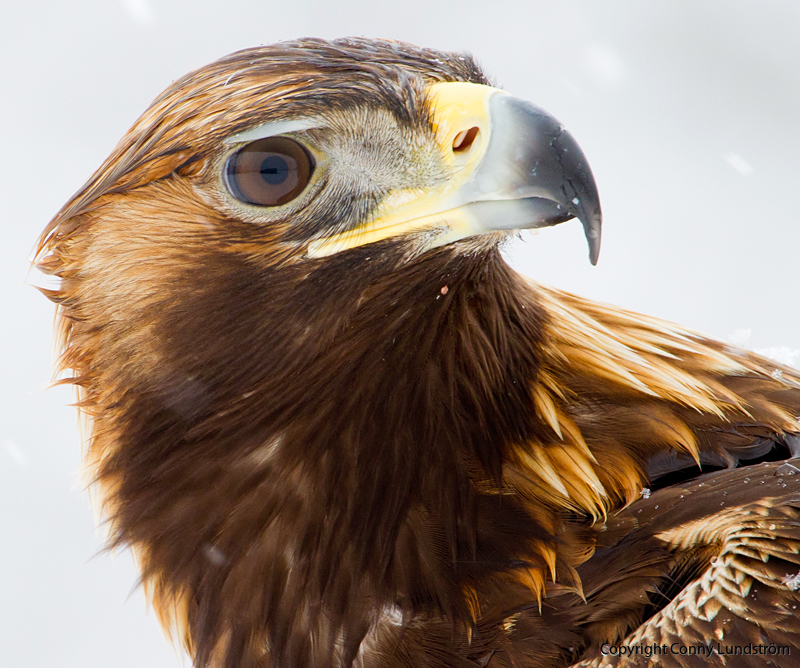 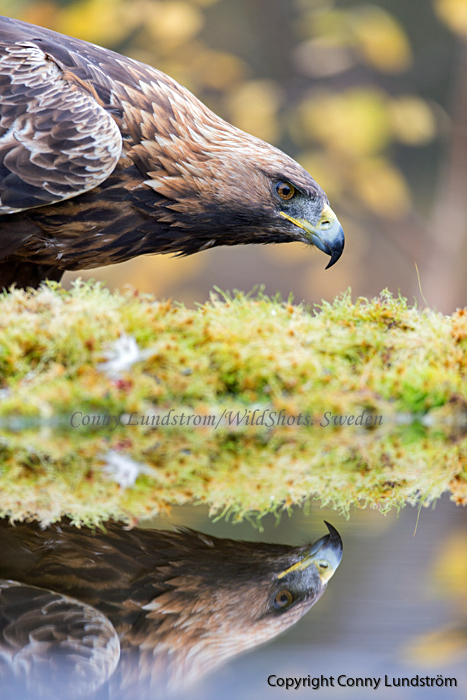 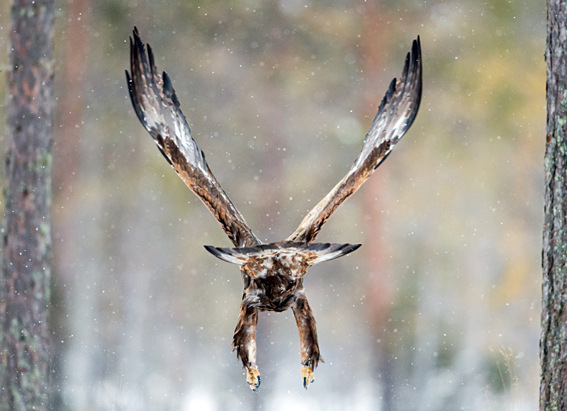 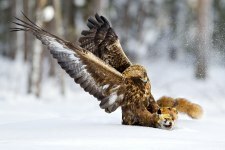 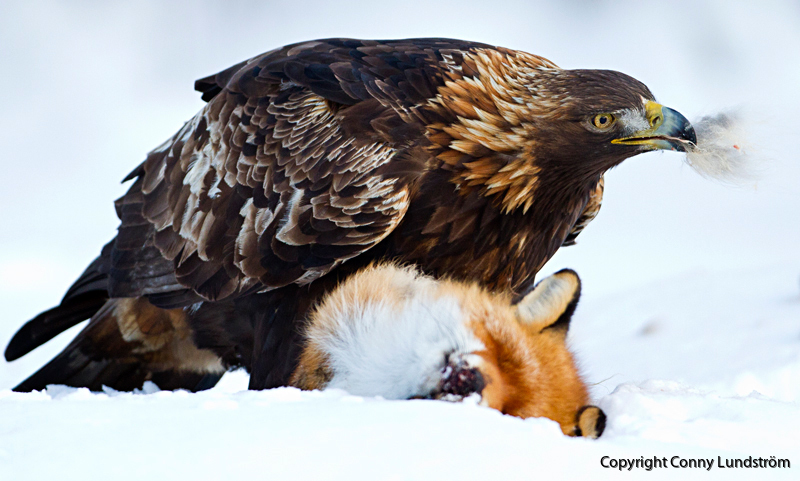 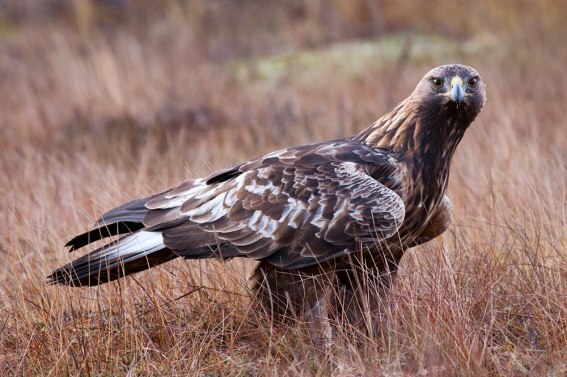 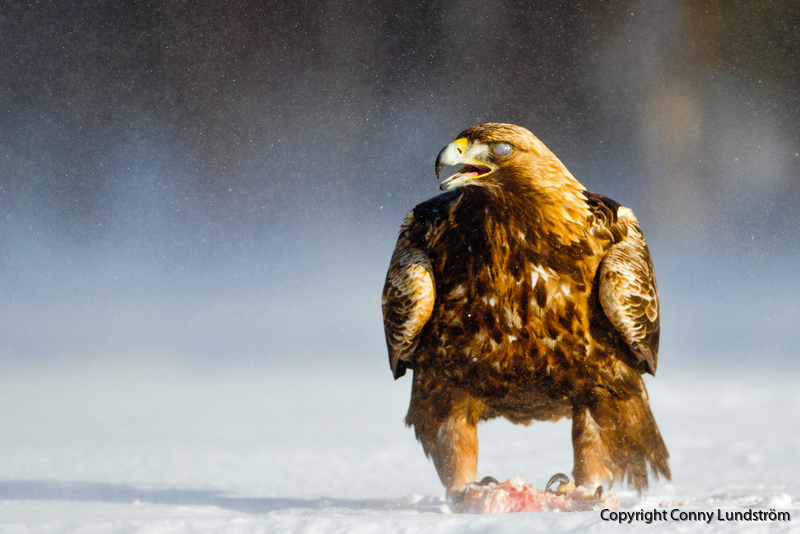 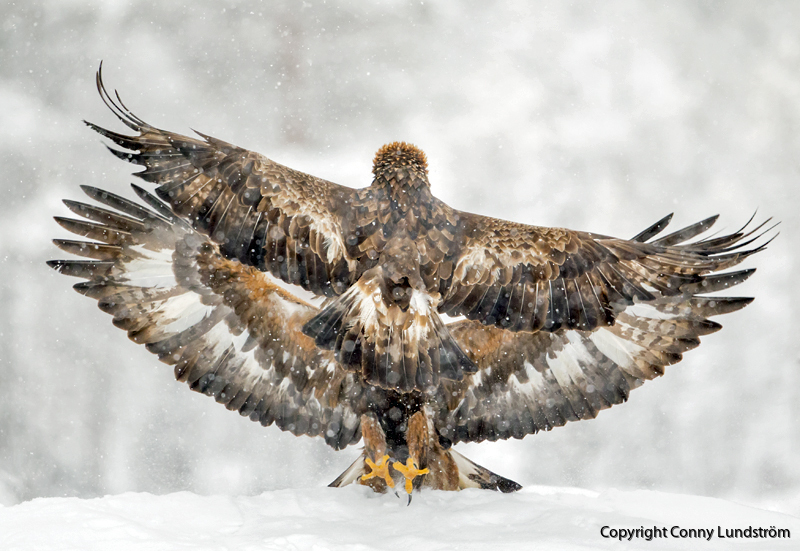 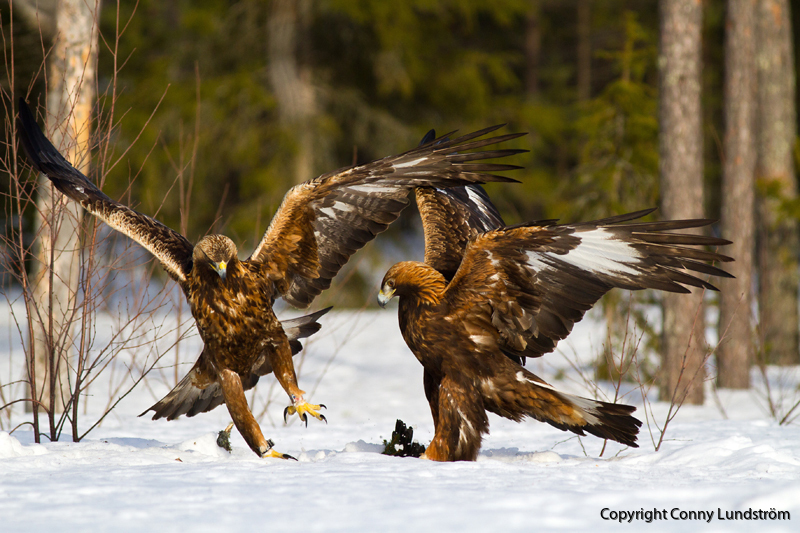 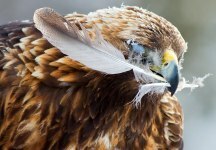 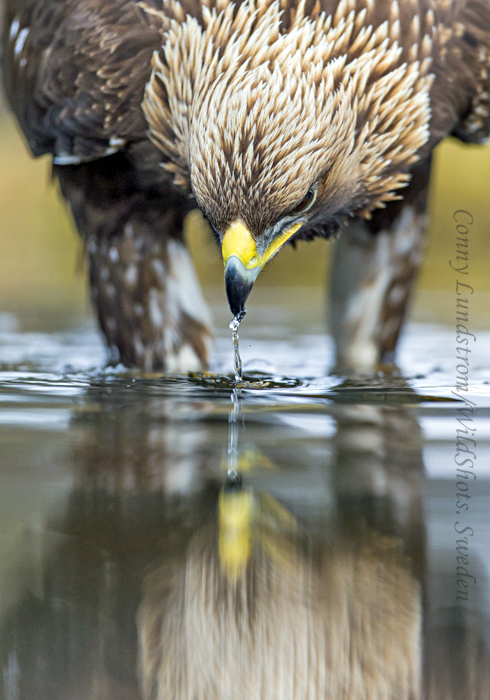 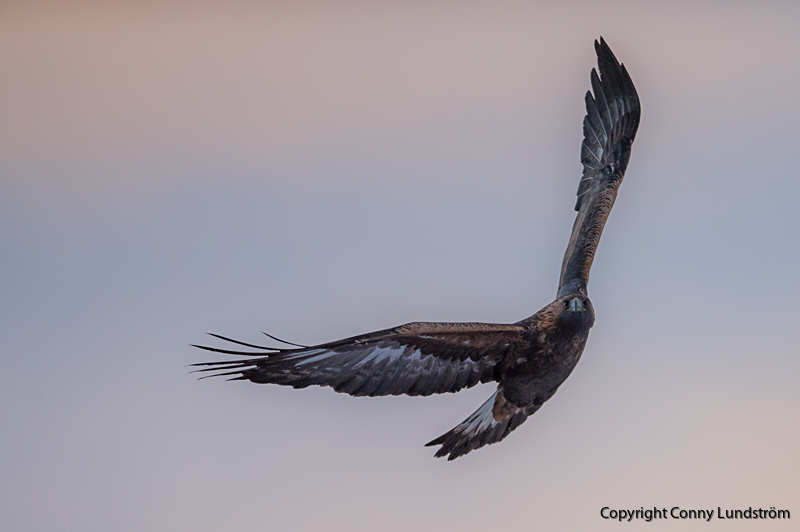 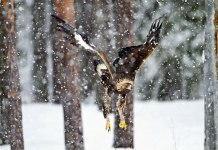 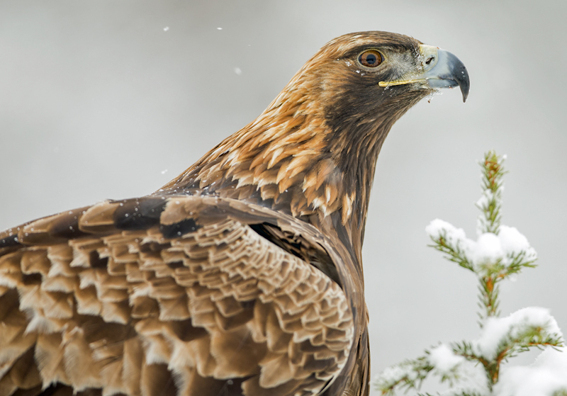 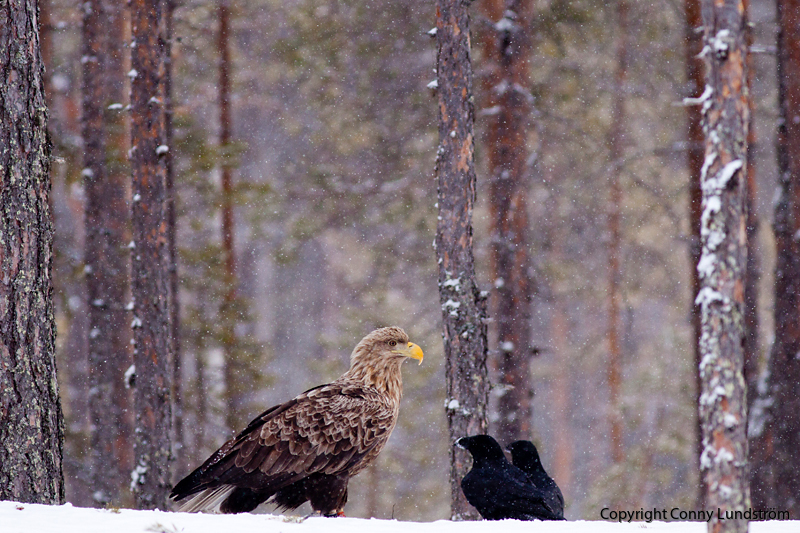 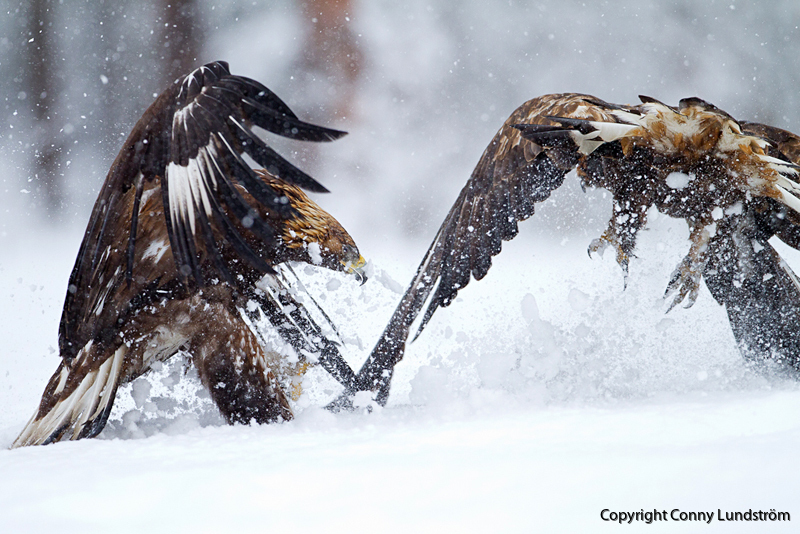 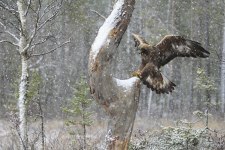 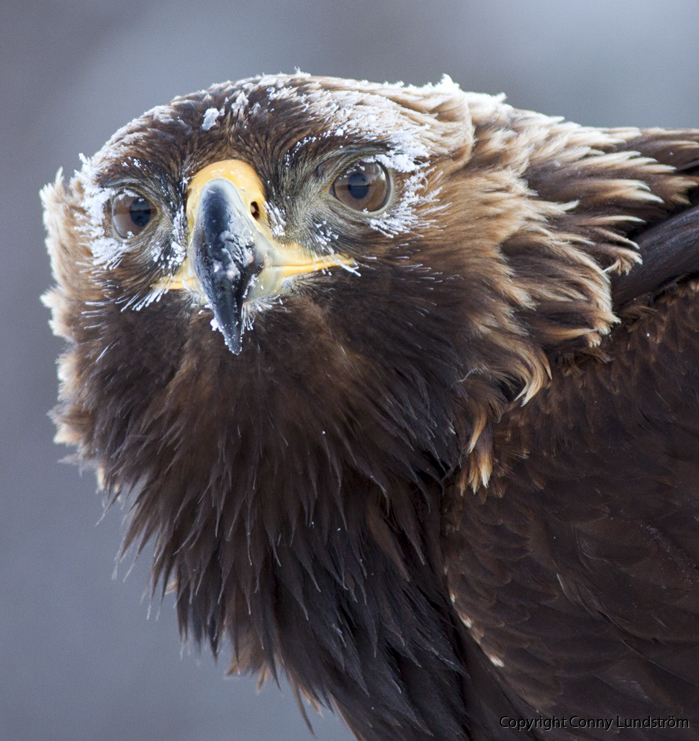 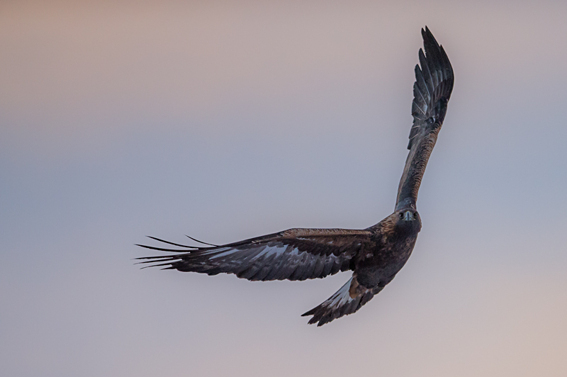 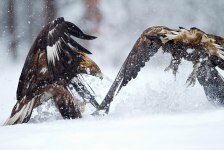 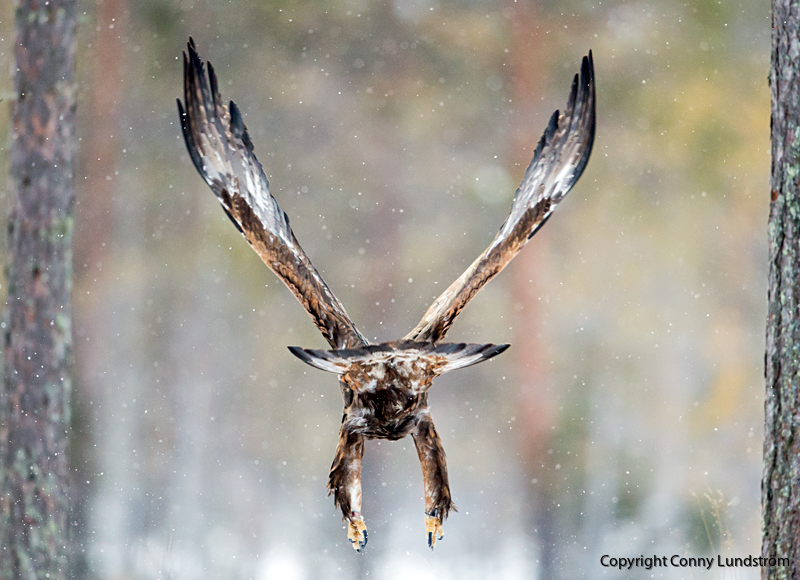 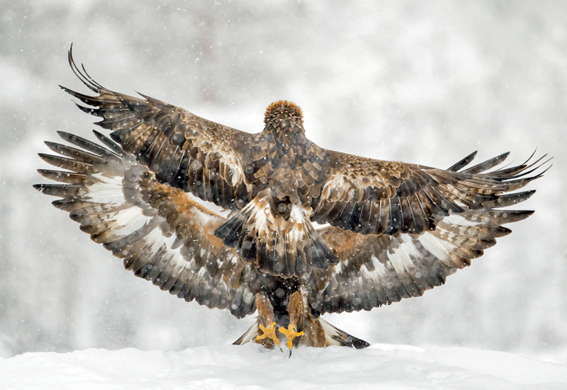 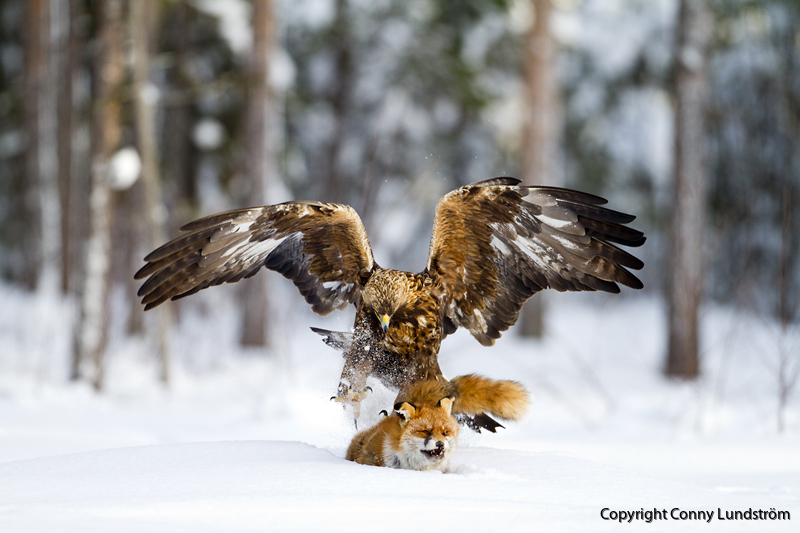 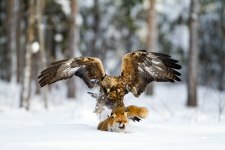 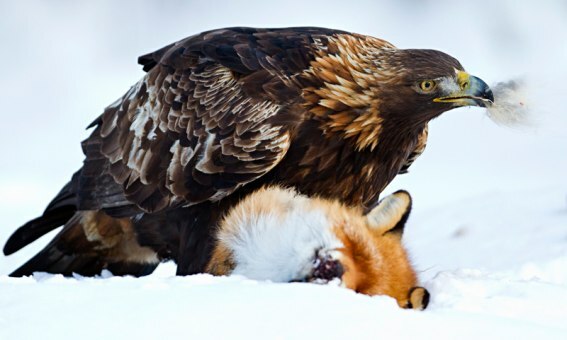 Welcome to rent a photo hide and photograph Golden eagle! 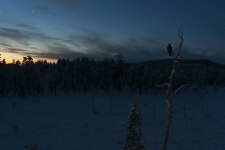 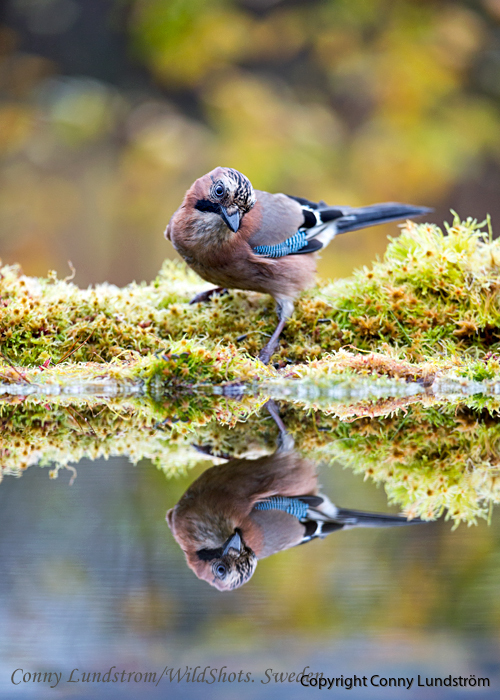 The place for the hiding is carefuly chosen for the best photographing condition in a landscape of mountainous coniferous forest with segments of bog. Gyrfalcon, Raven and Fox among others. 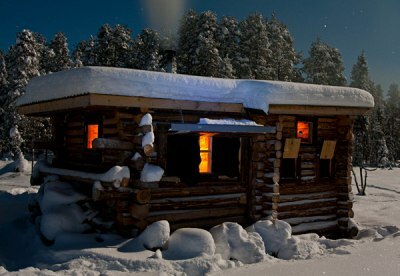 I´m offering you a comfortable photo hide with toilet and heater, housing 1 – 4 persons. 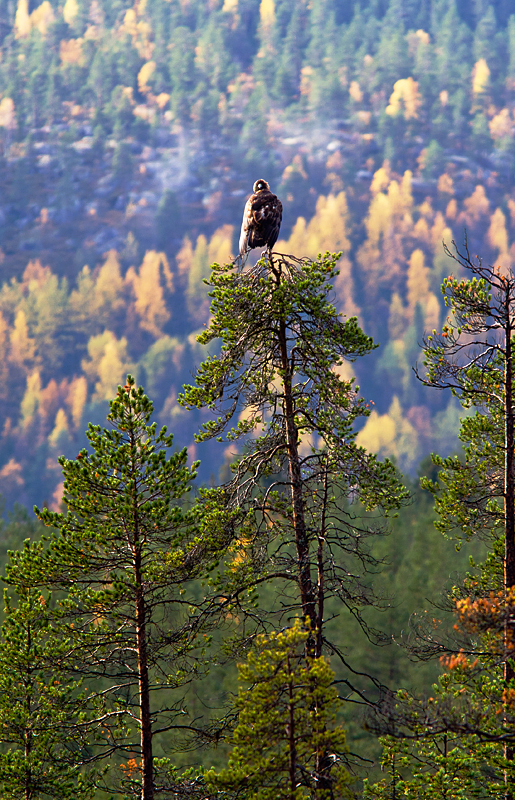 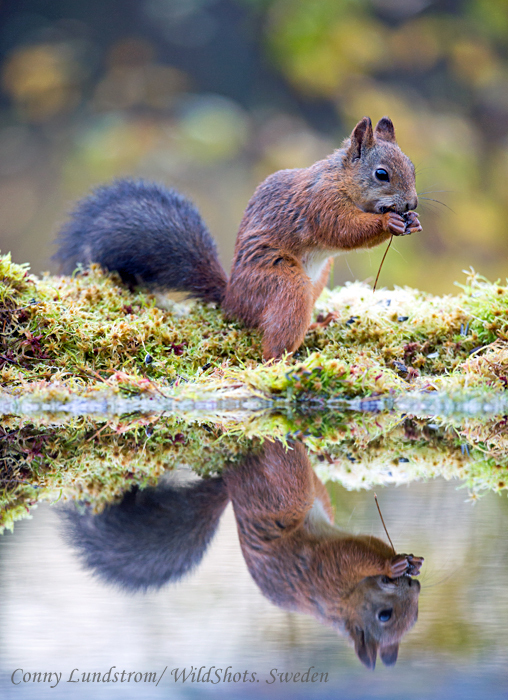 The season lasts from October up to and including April.